Over one million Catalans have formed a human chain stretching over 400-kilometers along Catalonia's Mediterranean coast, locking hands to show their support for Barcelona’s independence from Spain. 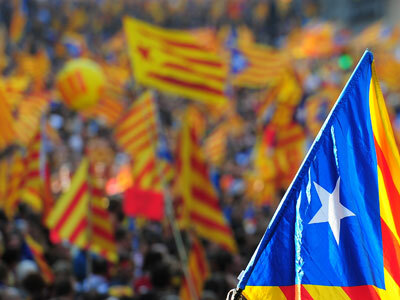 According to local authorities an estimated 1.6 million people in the region flooded the Catalan region wearing red, yellow and blue pro-independence flags and shouting “independence.” Named the Catalan Way, activists linked 86 towns and villages along the coast. Wednesday's display was the highlight of Catalonia's national day, the Diada, which recalls the conquest of Barcelona by Spanish king Philip V's forces. "We need to put an end to the cultural and economic suffocation we are suffering," said Carme Forcadell, President of the Catalan National Assembly, the grassroots group organising the human chain told the crowds. "We have come out in our hundreds of thousands into the street to show in a democratic and inclusive way that we are capable of achieving any aim we set ourselves," she said. 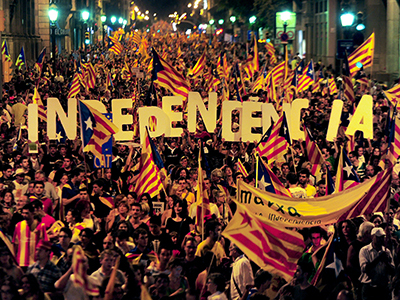 Catalans, who have their own unique identity, language and culture are seeking independence amid deep recession and austerity measures. The regional capital Barcelona accounts for a fifth of Spain’s economic output. However the unemployment rate remains close to 24 percent while its debts exceed 50 billion euros. 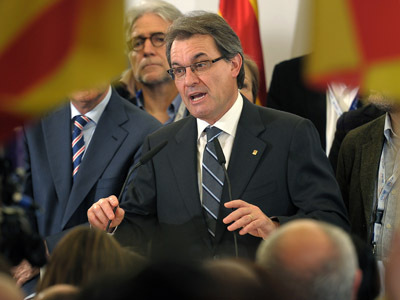 Barcelona accuses Madrid of collecting 16 billion euros more in taxes than it spends in Catalonia each year. 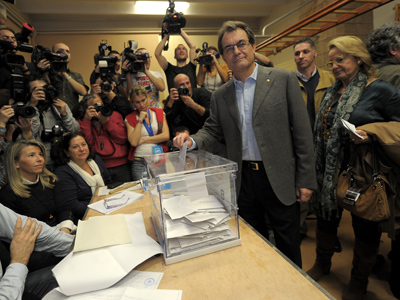 Artur Mas, the regional leader has promised a referendum on secession in 2014, but Madrid has dismissed such a vote as unconstitutional. “The breakdown in relations with Spain has become so serious that the only solution is a referendum,” Mas said on Wednesday. 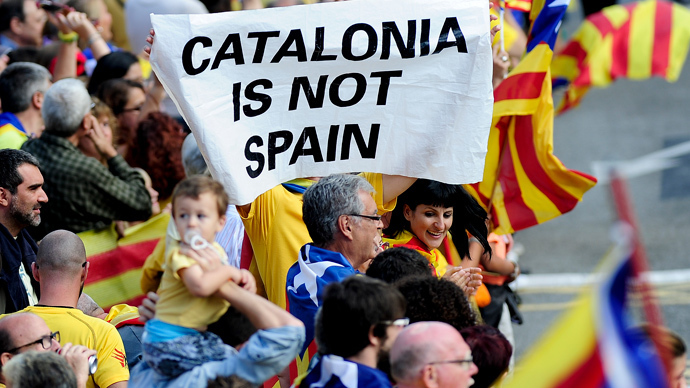 A referendum would be a "unilateral declaration of independence that would have serious consequences for Spain and also for Catalonia" which would have to "bid farewell to the European Union", Spanish Foreign Minister Jose Manuel Garcia-Margallo said.